With 24 great holiday designs to choose from, these lemonade mixes would be a great addition to any festive holiday party. 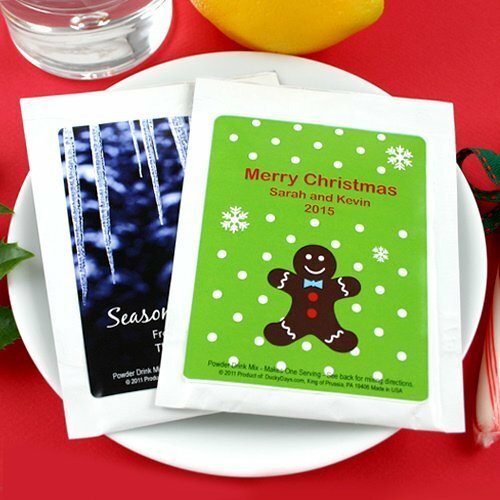 Choose from packets with snowflakes, mittens, trees and so many other designs. We customize each one with 2 lines of text such as the party name and date. Each packet has a single serving of refreshing lemonade mix.